With no cars, a spread of jungle-like greenery and golden sand beaches, Lamma Island is just the tonic for those looking for an escape from the smog and crowds of Hong Kong Island and Kowloon. With a population of just 6,000 and a reputation as a welcoming home to those looking for a more peaceful lifestyle—Lamma’s laidback pulse, eye-catching scenery, and mouth-watering restaurants are also a popular draw for visitors. 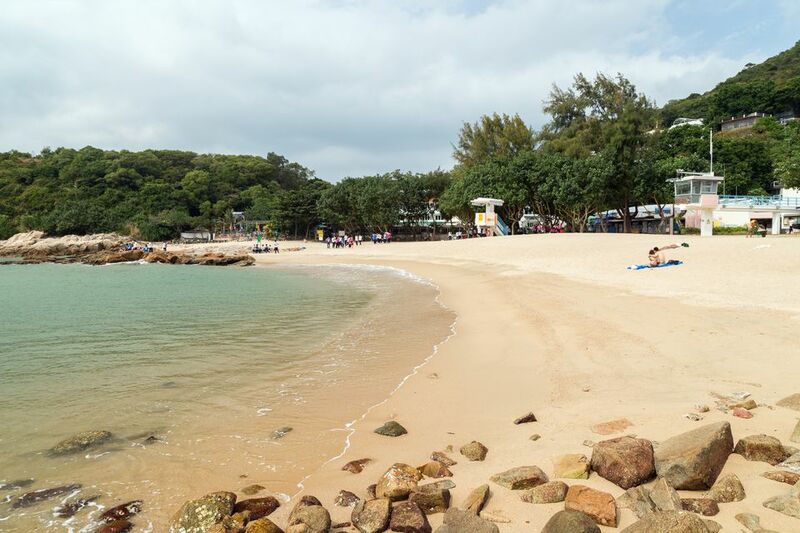 The hikes and the beaches certainly make it worth a visit—take a look at our Lamma guide for more on what to see and how to get to Lamma for transport information. While the other choices on Lamma Island are apartment rentals and holiday homes, the Concerto Inn is a full-service hotel. Perched on Hung Shing Yeh beach and with a stretch of jungle at its back, the Concerto offers blissful peace and quiet. The penalty for this backwater retreat is that it's 20 minutes from the ferry pier, shops, and restaurants of Yung Shue Wan—getting your luggage out here can be a challenge. Set 10 minutes outside of Yung Shue Wan and nestled in the bucolic Lamma countryside (it's great for hikes), the Dollarfull guesthouse offers studios inside a residential block in Sha Po Old Village. The rooms have TVs, Wi-Fi and all the furniture you could ever want in every shade of pine. Some of the bigger flats also have built-in kitchen facilities and all have private bathrooms. Prices follow the same rules as other guesthouses with a hike at weekends and public holidays. This guesthouse has a dozen or so apartments all inside a single block building in Yung Shue Wan. Neither the building nor the apartments are pretty, but they are clean and the location is perfect for exploring Lamma’s main village. All the units are studios but you do get a fridge and cooker and some of the apartments feature sea views. Prices on weekdays are low but can double on weekends and during holidays. Part of the attraction of Lamma Island is the lack of development, but that does mean that there are very few hotels to choose from. With the ferry ride from Hong Kong taking less than 30 minutes and a 24-hour service in place, it's worth considering just coming out on a day trip. If, however, you're looking for somewhere to unwind for a couple of days and want to stick around on the island, you should consider the guesthouses that operate here. You won't always find them in the phonebook, or online sometimes, but there are plenty of beds on the island for rent. Look for signs on doors or try the local real estate agents. The island does fill up quickly at weekends and public holidays, especially in spring and autumn, but this usually means higher prices rather than rooms being fully booked.